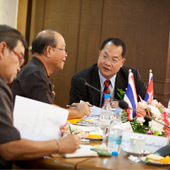 Mahasarakham University Researcher Team, comprised of Asst. 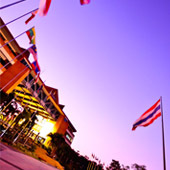 Prof. Dr. Juckamas Laohavanich, Asst. 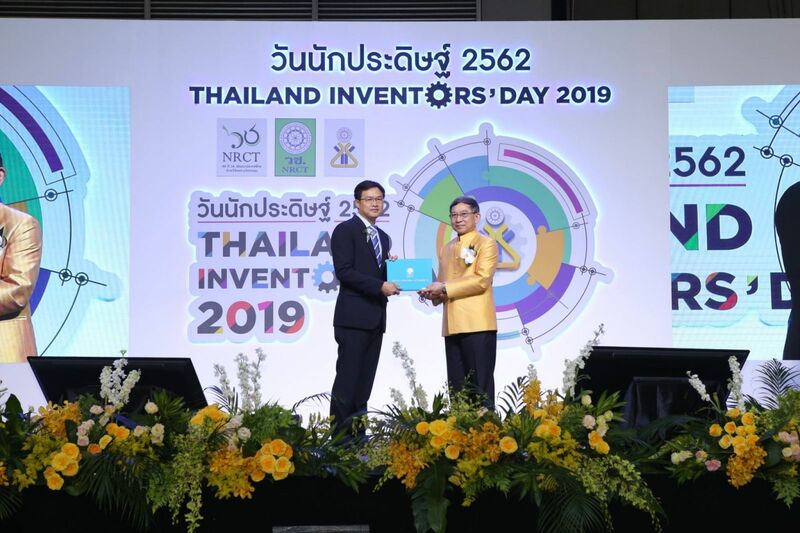 Prof. Dr. Supan Yangyuen, Dr. Cherpong Cheawchanwattana, Mr. Tiwanat Gaewsondee, Mr. Songpol Wijanjak and Mahasarakham University students, receives the commemorative award in agriculture and biology from the Thailand Inventors’ Day 2019 at innovation Event Hall 102 - 104, Bangkok International Trade & Exhibition Centre (BITEC), Bangkok, Thailand on February 2, 2019. 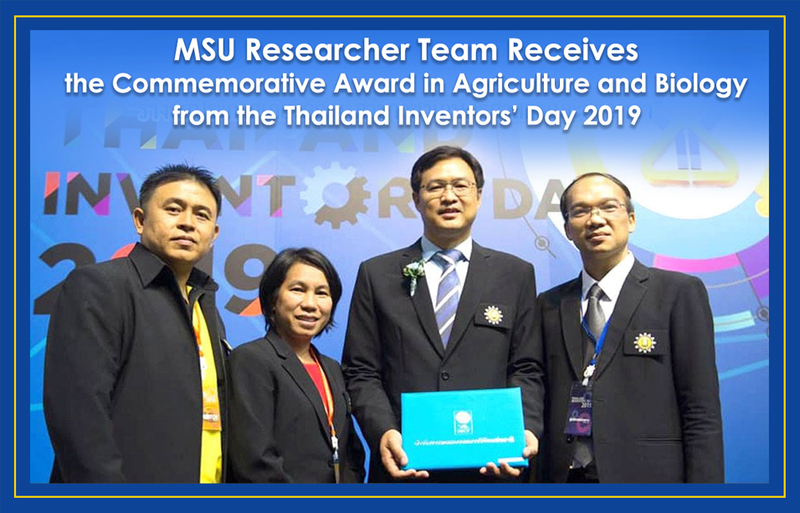 The study of “Mobile Rotary Dryer for Agricultural Products” is developed by the researcher team of the Faculty of Engineering, Mahasarakham University throughout four years. 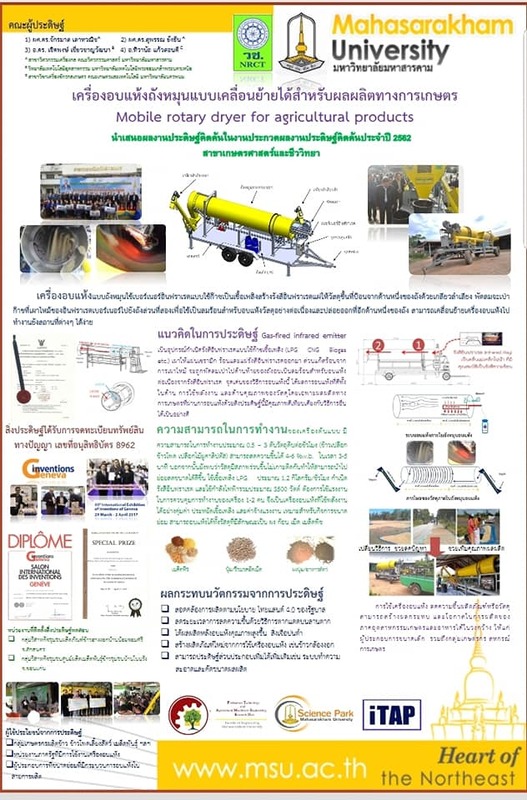 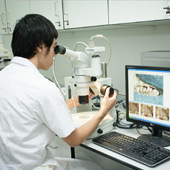 And now, this study is well-known and the inventions from this study are extensively and usefully used in ten provinces of the Northeastern of Thailand.